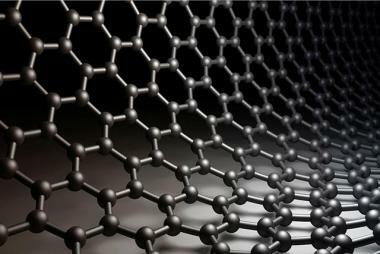 I​​​​n simple terms, graphene is a two-dimensional atomic plane made up of carbon atoms arranged in a hexagonal lattice. Due to its unique combination of superior properties, graphene is a credible starting point for new disruptive technologies across a wide range of fields. A new, commercially viable process is now being developed to produce graphene from captured CO2. The implication? We may now have a highly profitable, politically viable, and environmentally sustainable way to break free from our destructive practice of pumping CO2 into our atmosphere. Videos below are from the Graphene Flagship, an educational and research consortium sponsored by the European Union. How can graphene be used for cancer treatment? What are graphene's thermal properties? How many types of graphene are there? Graphene (/ˈɡræf.iːn/) is an allotrope of carbon in the form of a two-dimensional, atomic-scale, hexagonal lattice in which one atom forms each vertex. It is the basic structural element of other allotropes, including graphite, charcoal, carbon nanotubes and fullerenes. It can be considered as an indefinitely large aromatic molecule, the ultimate case of the family of flat polycyclic aromatic hydrocarbons. Graphene has many unusual properties. It is about 200 times stronger than the strongest steel. It efficiently conducts heat and electricity and is nearly transparent. Graphene shows a large and nonlinear diamagnetism, greater than graphite and can be levitated by neodymium magnets. The global market for graphene reached $9 million by 2012 with most sales in the semiconductor, electronics, battery energy, and compositesindustries.